Today I am here with some winter mani. Actually I wore it a few weeks ago when it was colder. Now the weather is a little bit warmer. First of all I made a gradient with white blue and dark blue. 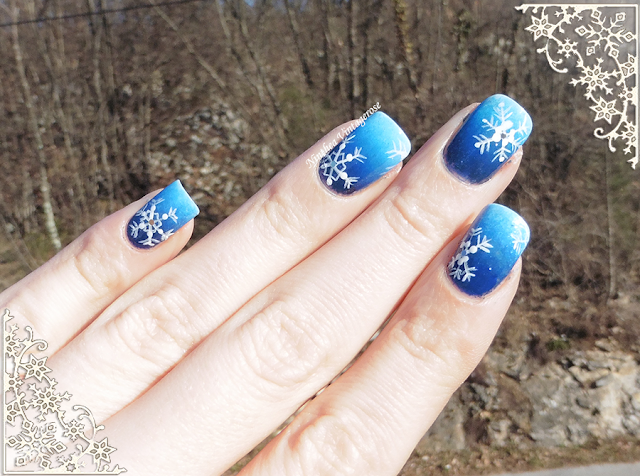 Then I panted the snow flakes with white acrylic paint and that's it. I really like the final result. What do you think? ne ho fatta una similissima, che dire, mi piace tantissimo! Absolutely beautiful! Suits for the weather here in Holland! Brr! 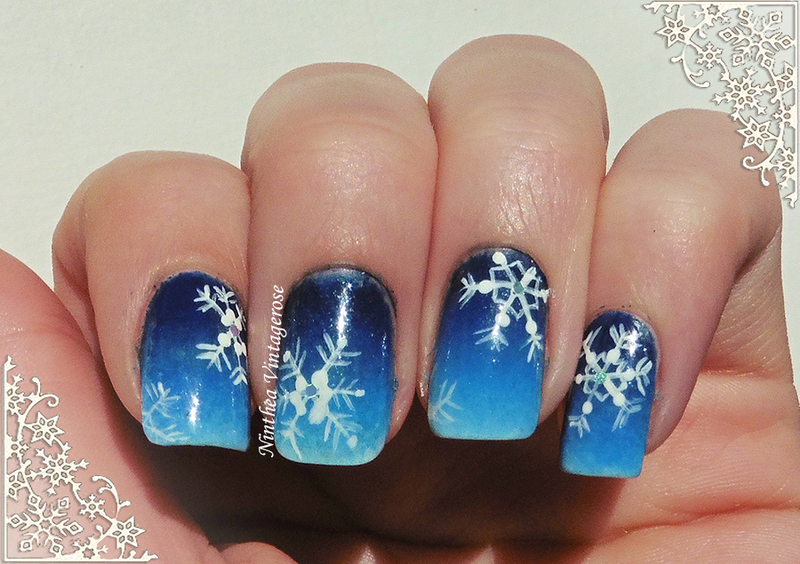 This mani is perfect for winter! 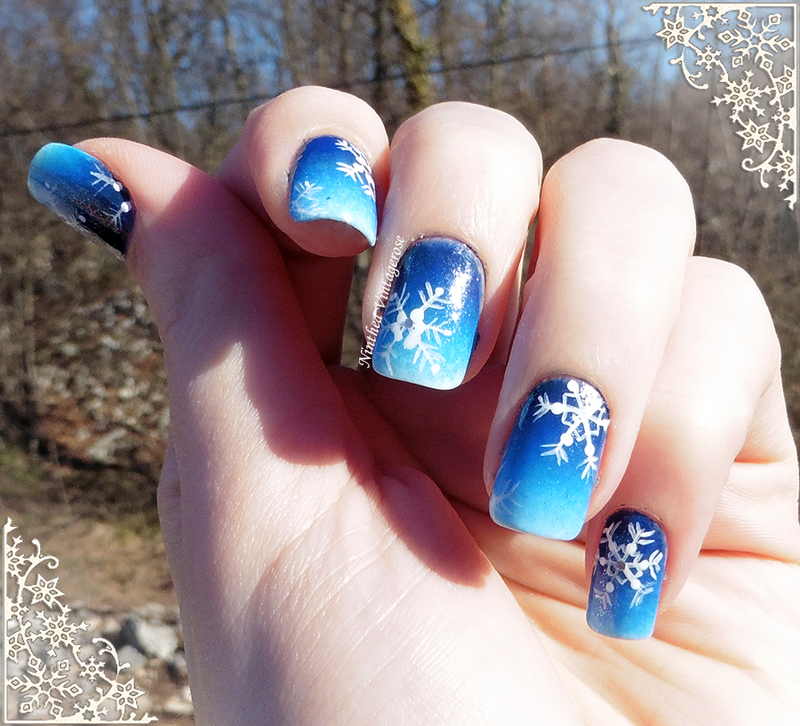 We had a bit of snow a few weeks ago and these nails would have been perfect!